and stamped it in Black Tuxedo ink and used Copic Markers to color in the image. Popped it up with some Dimensionals. Then using the GORGEOUS patterned papers from Art Neko, I cut an oval using Spellbinders and created some ribbons along the mustard cardstock. 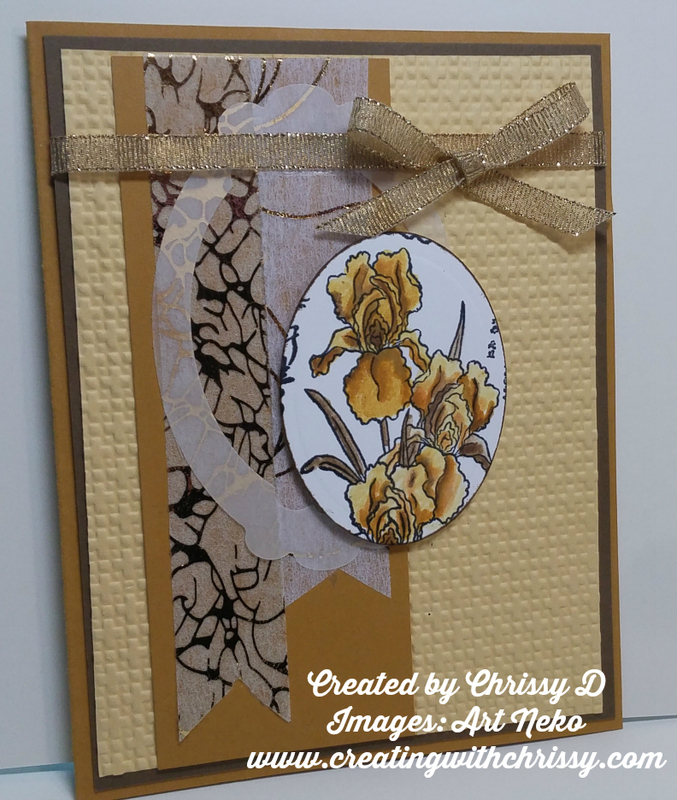 On the Saffron cardstock, I ran it through my Big Shot with the embossing folder. Then tied a bow to finish off the project. What a pretty card. Great design, great colors, and super texture. Love it!! !